Whether you choose to write your affirmations or repeat them out loud, they work. If they are not working for you, it simply means that you are doing something wrong. And in this article, you will discover how to make your positive affirmations work. There are only 5 rules you must follow. Affirmations, one of the most effective and powerful tools available for anyone to leverage and apply to gain more energy, motivation, and success in getting what they want, is a hot topic people often talk about. However, just like goal setting, most people who use affirmations fail to experience it’s power and effectiveness, why is it so? Well, before we dwell deeper into the topic and go straight to the 5 rules for affirmations, let’s talk a little bit about the 3 successful individuals who have made good use of affirmations and leveraged on its power to achieve amazing success in life. Ruben Gonzalez, the award-winning speaker, a best-selling author and an Olympian, who was also featured in Jack Canfield’s book, The Success Principles, is someone who has successfully leveraged on affirmations to build his career in the luge sports. When 20-year-old Ruben Gonzalez showed up at the US Olympic Training Center in Lake Placid, New York, he had in his pocket the business card of a Houston businessman who believed in his Olympic dream. Ruben was there to learn the sport of luge, a sport that 9 out of 10 aspirants give up after the first season. Almost everyone breaks more than one bone before mastering this 90-mile-per-hour race against time in an enclosed mile-long downhill track of concrete and ice. But Ruben had a dream, passion, a commitment not to quit, and the support of his friend, Craig, back in Houston. When Ruben got back to his room after the first day of training, he called up Craig. Ruben got up, stretched the phone cord, and stood in front of a full-length mirror. And again and again and again. This is a real story that has been featured in many motivational articles, inspirational books and that is why Ruben’s story has made it into Jack Canfield’s The Success Principles. After that, Ruben leverage on his success and his courage to write a book, The Courage To Succeed. It has become an international best-selling book and he then started his career as a motivational speaker. And guess what, it all started from boosting his courage to achieving his dream, through positive affirmations. Do you think affirmations work now? Dean Graziosi, one of the most electrifying success trainers, also experienced the power of affirmations and he even talked about it in his book, Millionaire Success Habits. The book, Millionaire Success Habits is a newly published book and I got when Dean launched it from his website. And it is also a must-read book. Trust me, when I said it is a great book, it will be a great read that will worth your time, or even your life! Knowledge and information can change your life. This is why reading is important. Anyway, let’s talk about Dean and how he used affirmations to catapult his success many fold. Well, in his book, he refers to affirmations as power phrase. Which make affirmations sound better and more powerful. True, power phrase works. I said it repeatedly. I said it out loud as I would walk around the house or around the office. I said it walking to the gym in the morning and when I was on the treadmill. I said it louder and louder and with more conviction until my soul felt it. This simple little phrase empowered my life like I could have never imagined. It energized my cells, it got me into a state of mind where I felt I could handle anything. I stopped thinking about what could go wrong and focused on what could go right. It allowed me to kick the old villain to the curb when he was trying to move back into my life. No way was I letting that happen with my new power phrase! I felt the inner hero take over my soul! I started using other power phrases to empower my life from that moment on and have never stopped! It’s funny that Tony (Anthony Robbins) gave me this gift 15 years ago in one of his courses. At the time, I wrote in my journal: “Some day, I will thank Tony in person and he and I will do business together.” So now, fast-forward 15 years, and I’m backstage getting ready to inspire 15,000 energized and amazing Chinese people in Shanghai. And guess who I was there with? Yes, Tony Robbins, who is now one of my dearest friends. Can you see how powerful affirmations can be right now? And do you notice what you should do to make it work right now? I was getting ready to follow Tony on stage and about 10 minutes before I was scheduled to go on I got incredibly nervous. I started to question myself and my abilities. I became anxious about letting Tony down, as well as the other 15,000 people who were there. But guess what I used to turn this situation around? Nothing more than what Tony taught me 15 years earlier through his course. I started walking around backstage repeating a power phrase that I had used a few times before when I had to speak in public. I was literally walking around saying it over and over and with more intensity each time: “I command my subconscious to use my God-given, unique ability to impact, empower, and transform the lives of the people who are here today!” I repeated it until my confidence grew, the fear subsided, and then the inner hero kicked in and I got goosebumps up and down my arms and my face from the amazing experience. Then Tony said my name and called me onto the stage. After Tony gave me a huge bear hug, I was ready to light up that crowd. And that’s exactly what I did! Are you feeling excited right now that you want to create your own power phrases and affirmations that will boost your confidence, get motivated and, achieve outstanding success in life? You can command and summon this power to you when you use affirmations like Dean Graziosi and Ruben Gonzalez. I strongly recommend you get the Millionaire Success Habits from Dean. It is a must-read for people who want to improve their life and achieve financial freedom. The best part is that Dean shared in his book with very conversational style and it is very easy to read. 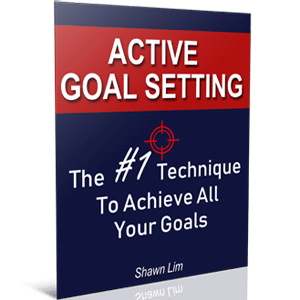 Plus, he gives actionable advice that you can actually implement without leaving you hanging without knowing what to do. I first came across Scott Adams’ work through Vishen Lakhiani from Mind Valley. Vishen mentioned how Scott Adams was someone who did not believe in affirmations and Law of Attraction sort of things, but somehow, he got to experience the power of it and started to test out affirmations on his own. I found that Scott Adams’ story is kind of interesting, and thus, I bought his book, How to Fail at Almost Everything and Still Win Big. And what Vishen said was true. Scott Adams did try out affirmation and it worked for him, to an amazing level. What Scott did was that he wrote down his affirmations for 15 times every day. He writes, “I, Scott Adams, will be a famous cartoonist”, for 15 times each day. He mentioned this in his book and also in his blog. You can check it Scott’s blog here. I’ve often written about my own experiences with affirmations, the practice of writing your goals 15 times a day. It seems to work much of the time, at least in my experience, but presumably not because of any magic. At least one probable explanation for its perceived effectiveness is that focusing on goals changes the person who is doing the focusing. And it worked out great for Scott Adams. He is now a famous cartoonist, a successful speaker and also a New York Times best-selling author. Are you feeling excited to start and to discover how you can make your affirmations work for you now? These rules are also the common mistakes most people make when they practice their affirmations. When you find that your affirmation is not working for you, probably, you are missing any of these. Just so that you know, affirmation is not something that you will or are going to do for only once. From the 3 examples I shared above, Scott Adams writes his affirmations for 15 times a day, Dean Graziosi and Ruben Gonzalez repeat their affirmations verbally until they get the feeling. You may not feel the power or you may not do it right the first time, but if you continue to do it, consistently and continuously, you will eventually get it. I know that some of you may say that repetition only makes permanent, not perfect. You are right, this is what the other 4 rules are for. As long as you follow and comply with all the other 4 rules, and then you repeat your affirmations, you will get the feeling and the motivation. Remember, repeat it until you get it. And don’t do it for the sake of doing it. Do it seriously and do it because you mean it. To put it in a better way, you have to repeat your affirmations with commitment and determination. You may feel awkward the first time you talk to yourself in front of a mirror, but as you repeat the process for a few times and as you get serious about it, the feeling will be totally different and you will somehow, get to the peak state. So don’t do it just for once. Do it as many times as you wish or do it until you feel determined to take action. Like I said, don’t practice affirmations for the sake of doing it. You will feel bored and lousy if you do it without the feeling. In order for your affirmations to work, you must associate feelings with them. The stronger the feeling, the better the results. If you read the book, The Secret, or any Law of Attraction related book, you will understand that it is the feelings that will attract the results you want. So don’t practice affirmations without feeling good. You can, however, feel nothing at first, but try your best to put in feelings. When you say out loud that you are going to be financially free or stay healthy, feel it. Act as if you are already successfully living your dreams. The saying, “Fake it until you make it” is real. Successful people are successful because they are living in their dreams and act like they are already successful in the first place. When they feel good about it, they will take action. And when they feel good about what they want, they will perform better. This can also be known as “in the flow”. Stay in the flow all the time if you want to produce outstanding success in life. This is the rule where most people never adhere to. Let me ask you, would you buy a lottery ticket if you absolutely and 100% sure that you are not going to win? Chances are, you won’t. Why? Simple, because you don’t believe that you are going to win. If you truly believe that you are going to win the lottery tonight, would you go and buy a ticket later? Yes, you will because you believe in it. The same goes for affirmations. When you believe in what you say, your actions will show. Unfortunately, most people just say out what they want, but they don’t believe that they are going to get it. They practice affirmations saying that they are thin and slim and look good, but they don’t believe it because they don’t workout or exercise at all. They say that they want to build a successful online business, but all they do is checking updates on Facebook and wasting time in front of their TV. Their actions show that they don’t believe in their affirmations. Don’t let this happen to you. When you truly believe in something, you will do it. Your action will show. So believe in your affirmations. Take the necessary action and the universe will reward you with the results you want. Science has proven that our body movements will affect our emotions. Motion creates emotion. And this is where a lot of people don’t get it when it comes to affirmations. When you practice affirmations, you must also put in some motions. For example, as you repeat your affirmation, you can clench your fist to feel the power. You need to change your physiology and physical body movement to match your affirmations. Whatever you do, you must put in actions into your affirmations. Look at how successful athletes do the pep-talk or when they score a point? They celebrate. They feel excited. They shout. They jump into the air and they pump their fist. This is what you need to do too. Include actions into your affirmations. Finally, you have to commit to what you want. Don’t just promise yourself that you are going to do the affirmations every morning, but when the time comes, you say that you are too busy to do it and you procrastinate. And have the commitment to do it seriously. Be determined and practice your affirmation like you mean it. Better yet, transform it into your habits. Try to practice your affirmations at the same time and same place each day. When they become your habits, you can summon their “power” whenever you want. You can get motivated instantly because you have already “anchored” the move, the state, and the feelings into you. Stay committed, be real, and do it like you mean it. I know that some of you may ask if there are any examples of affirmations you can use or model. And therefore, I included 10 examples of affirmation for you below. The most effective affirmations are the affirmations that you created by yourself and for yourself. You add the personal touch to it and you know what it means. So create your own positive affirmations today and practice them every day. Now you know why most people fail at affirmations and how you can make them work for you. Just follow and apply these 5 rules above. Transform your affirmations into something that will inspire you into taking action and make you feel good. And when that happens, miracles will start to occur. You will get more positive results and start seeing things are moving according to your affirmations. So share with me, do you practice daily affirmations? Let me know in the comment section. And if you like this post, remember to share it. thank you, Shawn. I knew affirmations work, just not how. You have made it so that I now understand what I was missing. So thank you and the best in your future endeavors. Look forward to many more good things from you. You have a gift of explaining that is simple yet inspiring.